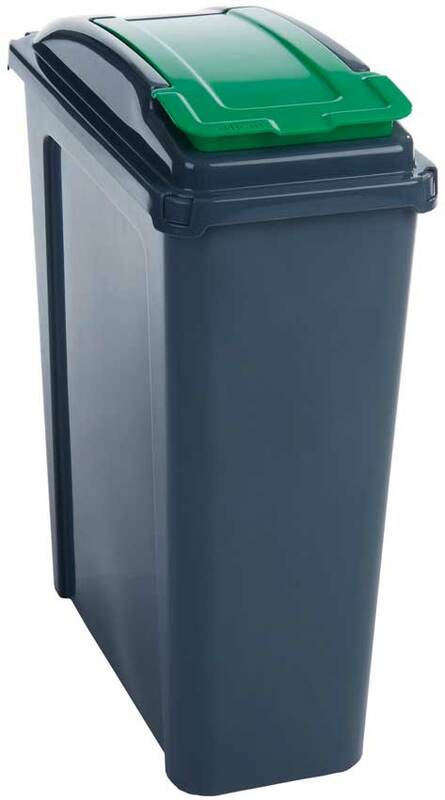 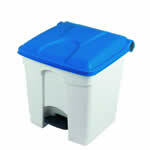 25 & 50 litre recycling bins made from 100% polypropylene. 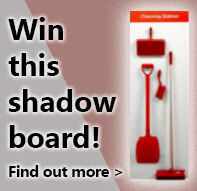 During the last 10 years the government has been actively encouraging us all to start recycling more whenever possible whether its at work, at home or elsewhere, all in the hope that recycling more will cut down the amount of waste in landfills and as a result help the UK become a 'greener', more environmentally friendly nation. To help businesses encourage their employees to recycle, we are endeavouring to expand our range of competitively priced recycling bins. These aesthetically pleasing lightweight recycling bins are designed specifically to encourage office recycling, both the 25 and 50 litre sizes have a 100% polypropylene construction and feature a coloured lid available in 4 colours: Yellow, Green, Red & Blue. 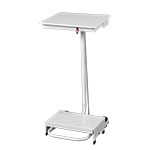 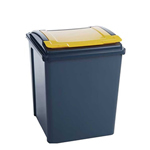 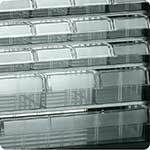 The smaller 25 litre bins feature a slim design measuring 400mm high x 190mm wide and 510mm deep, for use between work surfaces, appliances and desks. 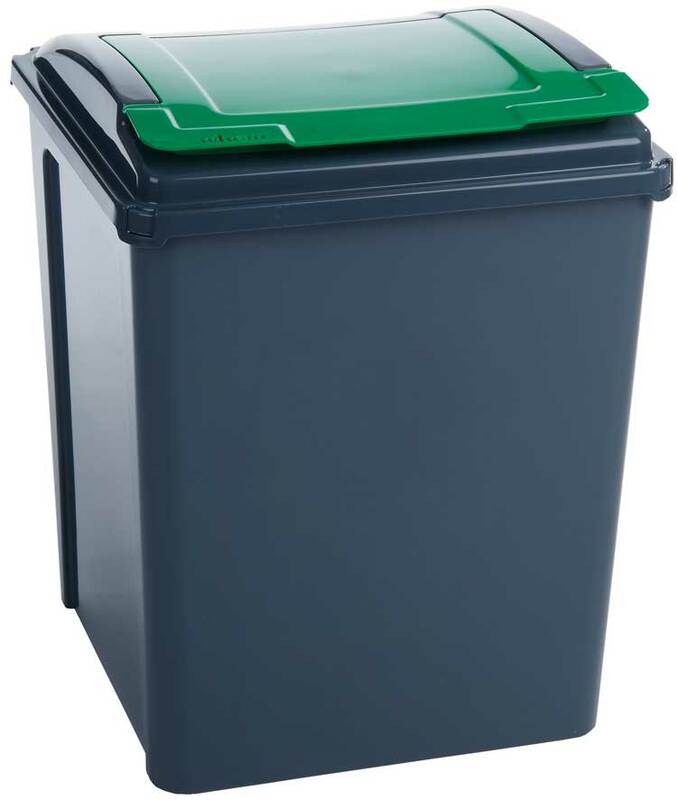 While the big brother, 50 litre recycling bins measure 390mm high x 400mm wide x 510mm deep allowing more recycled waste to build up before being emptied. 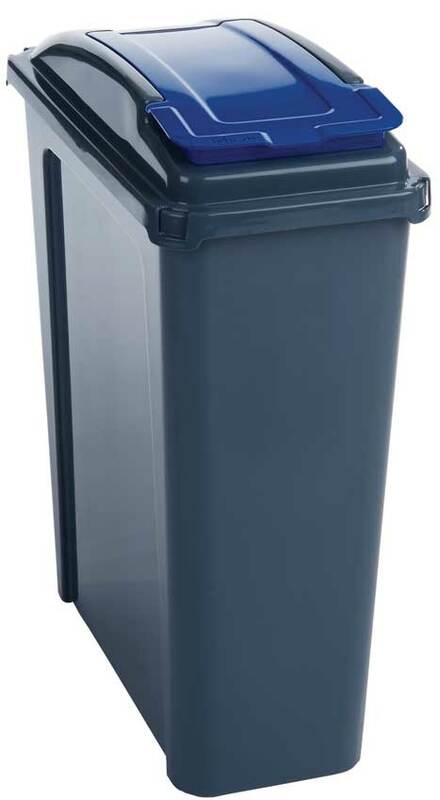 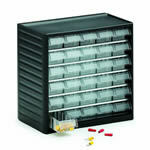 E384284 - A nice, solid bin, with a well fitting lid. We're using it for our recycling.